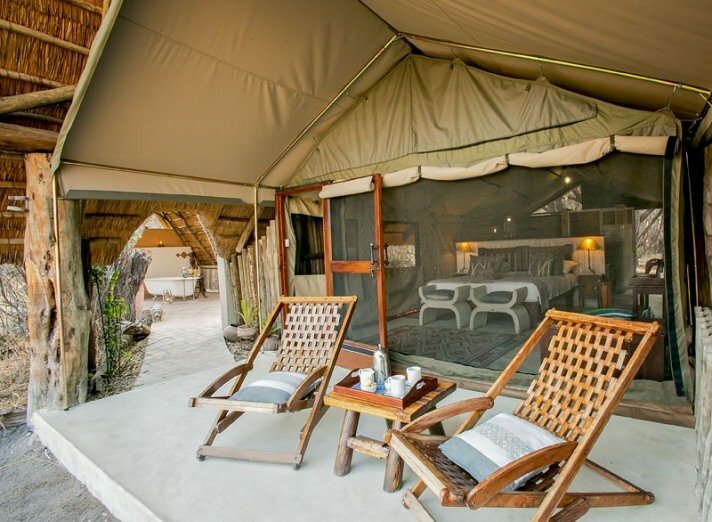 The Hide in Hwange National Park is an exclusive safari camp. Positioned in its own private concession right on the boundary of the National Park. 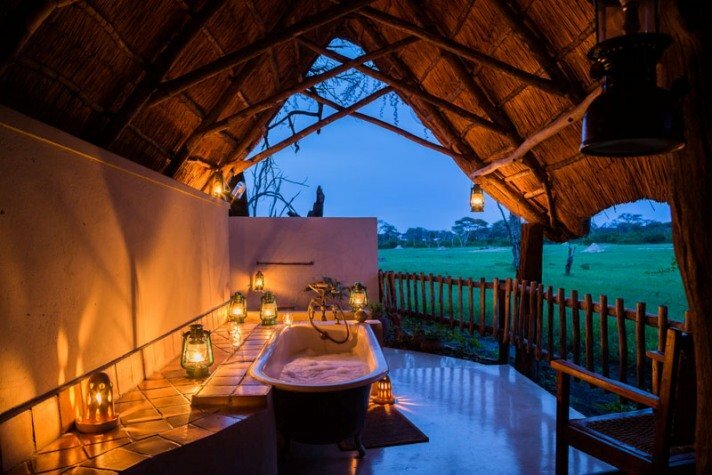 The whole camp including the bedrooms overlook a waterhole, well used by wildlife. 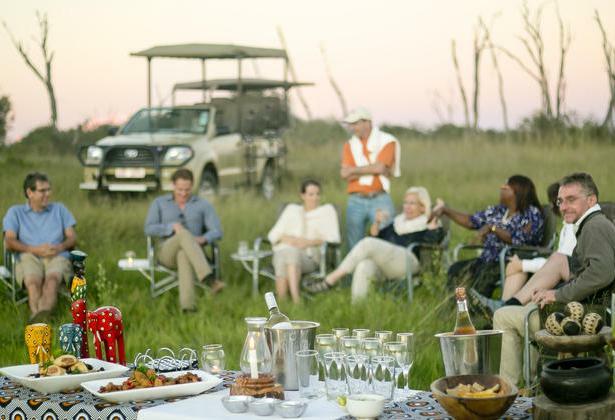 The Hide in Hwange is truly one of our favourites places to stay. We spend a lot of time in Hwange National Park and this particular section of the Park is our favourite. It is amazing for birding and wildlife. In the dry season very large herds of elephant and buffalo gather at the waterholes to drink. It really doesn't get much better than this anywhere in Africa. Because of Zimbabwe's turmoil in recent years, Hwange is not publicized as a major tourist destination, therefore there are not multitudes of tourists and mini buses. If you find a lion kill you are very likely to be the only people seeing it, which is rare these days in Africa with safari's being so popular. It's part of why this place is so special and why I would recommend it over somewhere like Chobe, where the game is great but so is the amount of tourists. It's Real Africa - wild and remote. 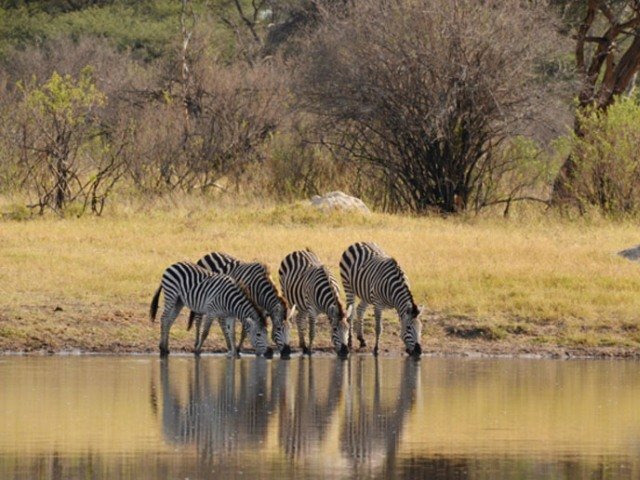 You will have the chance to see, not only the Big Five but also, wild dog, cheetah, herds of giraffe and countless other species. The Birdlife is also phenomenal with over 400 species being recorded. As with all the accommodation and activities on our website we only present products that we have personally done and are completely confident and satisfied with. It's easy for anyone to write a lovely brochure and make it sound nice, but we want to assure you that The Hide is a quality camp, in a phenomenal location at a reasonable price. At night the waterhole is floodlit and many of the animals come to drink. I will have a lasting memory of being in our lodge, lying on our superbly comfortable bed and my eyes feasting on the most incredible African Wildlife scene right in front of us. 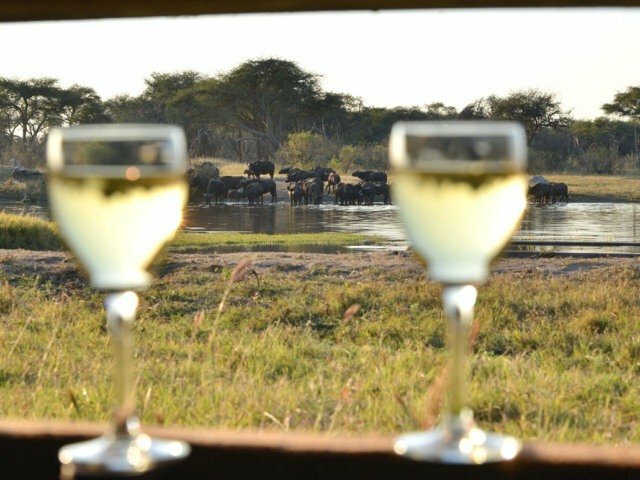 There are four game viewing activities per day included in the price, you don't have to do them all but they are there if you so wish (read more). The whole team at the hide are incredibly hospitable. Cher, our hostess couldn't have been more informative and attentive to our needs. The guides on our drives and walks were very knowledgeable and really made the trips interesting. There is no question that you will feel pampered.